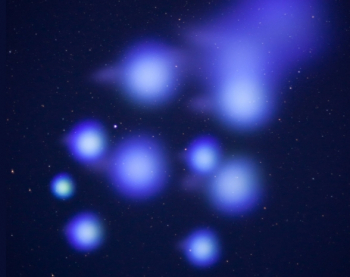 A Terrier-Improved Malemute sounding rocket has provided people on the mid-Atlantic coast with a luminescent cloud light show. The launch came after several attempts were scrubbed due to cloud cover. The sounding rocket – launched from Wallops Flight Research Facility – will help NASA test a new system that supports science studies of the ionosphere and aurora. The launch had been delayed numerous times, mainly due to unacceptable weather, before finally launching on June 29 in the early hours of the morning. The Terrier-Malemute launch vehicle – which launched this mission – is a high-performance two-stage vehicle used for payloads weighing less than 400 pounds. The first stage booster consists of a Terrier MK 12 Mod 1 rocket motor with four 340 square inch fin panels arranged in a cruciform configuration. The Terrier booster has an overall diameter of 18 inches. For a payload weight of 200 pounds, the longitudinal acceleration during the boost phase is 26g’s. 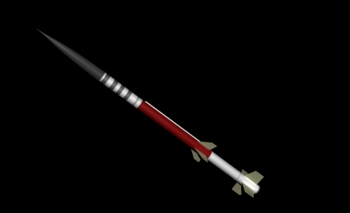 The second stage propulsion unit is a Thiokol Malemute TU-758 rocket motor which is designed especially for high altitude research rocket applications. The external diameter of the Malemute is 16 inches. The average thrust is 9,604 pounds. The maximum thrust level is approximately 14,200 pounds which results in a maximum longitudinal acceleration during second stage burning of 32g’s for a 200 pound payload. Liftoff weight of the Terrier-Malemute launch vehicle, less payload, is approximately 3260 pounds. This vehicle is usually rail launched and can be accommodated at most established launch ranges. However, Wallops is its usual launch site – a spaceport that is best known for its launches of Orbital ATK rockets, with the next scheduled to be the launch of the Antares rocket with the OA-8 Cygnus spacecraft to the International Space Station (ISS). The previous Cygnus was launched from the Kennedy Space Center (KSC) on a United Launch Alliance (ULA) Atlas V.
During the flight of a two-stage Terrier-Improved Malemute sounding rocket, 10 canisters about the size of a soft drink can deployed in the air, 6 to 12 miles away from the 670-pound main payload. The canisters deployed between 4 and 5.5 minutes after launch forming blue-green and red artificial clouds. These clouds, or vapor tracers, allow scientists on the ground to visually track particle motions in space. Ground cameras were stationed at Wallops and in Duck, North Carolina, to view the vapor tracers. Clear skies were required at one of the two ground stations for this test. The vapor tracers are formed through the interaction of barium, strontium and cupric-oxide. The tracers were released at altitudes 96 to 124 miles high and pose no hazard to residents along the mid-Atlantic coast. The blue-green and red vapor tracers may be visible from New York to North Carolina and westward to Charlottesville, Virginia. These clouds, or vapor tracers, allow scientists on the ground to visually track particle motions in space. Social media showed the experiment was visible in numerous areas along the coast. The total flight time for the mission was about 8 minutes. The payload will land in the Atlantic Ocean about 90 miles from Wallops Island and will not be recovered.